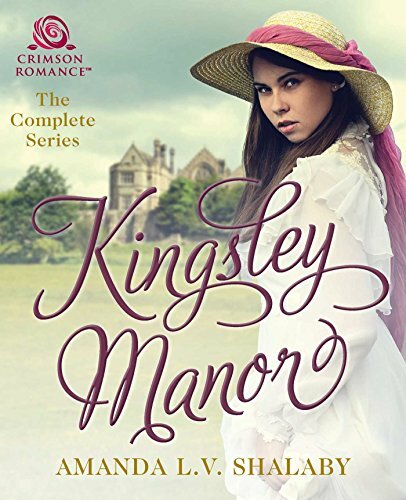 My dear friend and talented author of the Cotillion Series American romances has a wonderful new release in which Valerian Fitzpatrick finds his perfect complement in Samantha Hughes – the type of wonderfully feisty heroine we’ve come to expect from Becky’s fabulous list of characters. Book #7 in this series is not to be missed – you can read my review on Goodreads HERE. In the meantime, let’s talk to Becky about this exciting new installment! Becky, please give us a brief overview of Expressly Yours, Samantha. This novel has given me the chance to employ some of my favorite story elements. First, there’s a rich, romantic event that takes place in America. In this case, it’s the Pony Express’s formation in 1860. Second, I get to use one of my favorite tropes–a girl posing as a boy. I used this once before, in Banking On Temperance. But in that case, it was merely to satisfy Temperance’s curiosity as to what the inside of a tavern looked like. In Expressly Yours, Samantha, Sam’s very existence depends on her not breaking from her ruse, even if it means never being able to tell Valerian how much she loves him. As Samantha bravely cuts her hair in preparation for her transformation to “Sam”, (and any girl who has cut her hair knows the traumatic experience that can be! ), we are reminded of your tendency to write of strong, feisty heroines. Did they inherit those fabulous qualities from you? My novels do seem to contain feisty women, and I like writing that type of character. I’ve always had an independent streak, and wanted to know what was over the next horizon, which is why I’ve lived in so many states during my lifetime. I don’t know if that makes me strong or just crazy. If you were Samantha, would you have been brave enough to join the Pony Express? Given her circumstances, and what would have happened to her if she hadn’t taken her destiny in her own hands, yes, I think I’d have done the same. The actual Pony Express poster made the claim that a rider had to be willing to risk death daily. Given the choice of staying with the evil uncle or facing death on a daily basis, I would have chosen the latter. This latest in the Cotillion Series novels has a great deal of well-researched and fascinating historical details – and I know you personally traveled along the route of the Pony Express. Would you say this is the most research you’ve done for a book so far? Except for the book I’ve yet to write about Jedediah Smith, this book was by far the most heavily researched that I’ve done. I read three books on the history of the Pony Express and, like you said, I traveled the route across America. It definitely helped me envision the trials and tribulations that faced those brave riders. I knew I wanted to incorporate the Pony Express into this series and have been planning the story line for a while, but it wasn’t until I read those three books that I understood how it operated and how my story could develop around it. When I was just getting started in this business and doing research for the Jed Smith book, I was getting overwhelmed by the vast amount of information available on the man. I attended a workshop and asked one of the speakers when you put a stop to research. She said if I had a story to write, I should set aside the research and let the story write itself. Once I got comfortable with the actual way in which the Pony Express operated, the story came easily. Not so with the Jed book. I’ve written several different versions of it, and it even won an RWA contest, but I’m not happy with it yet. Some day it will gel in my head, but as of right now, it’s just a vast amount of research, and a sort-of story. Samantha is fortunate to have found an ally in hero Valerian Fitzpatrick – even when he believes her to be a boy. As we know, this is a romance novel, so he does find out the truth and their relationship becomes, shall we say, deeper? Do you think its possible for men and women to be friends and not lovers? Yes, I think so, but it can be a slippery slope to keep the relationship platonic. Because the very qualities that attract you to someone as a friend–similar tastes and interests, mutual respect, sensitivity–are the same qualities one uses when searching for a mate. You’ve written novels that were complete in and of themselves and you’ve written series. Do you find yourself preferring to write about fresh characters in new environments, or exploring new facets of the people and places you’ve come to know and love? I have to admit I love sliding into a series that’s been established. The people are known, the setting has been developed, and you can concentrate on the story. I have two stories left in the Cotillion Ball Series to write, but there are some secondary characters who will get their own stories once the initial series is finished, or I may take on the challenge of writing about the offspring of the Fitzpatrick children, who come of age during America’s Gilded Age. I’m looking forward to it. Tell us who of the Fitzpatrick kids is next up for their very own Happily Ever After? I’m working right now on Pepper’s story. She’s been kind of overlooked, since she was only mentioned in the very first book, at which point she was already married and pregnant with her first child. In the upcoming book, we are smack-dab in the middle of the Civil War, which affected every household in America, whether you wore blue or gray. I knew someone among the Fitzpatricks had to die during the War, since most every household had some tragedy during this time, but I didn’t want it to be anyone I’d already devoted a book to. The logical choice was Pepper’s husband, about whom we knew little. His death happened during the very first battle of the Civil War that incurred casualties– Bull Run, in August of 1861. She’s left a war widow with three young boys to raise and after her year of mourning, she begins to volunteer in the Army hospital. I’ll admit this one has been difficult to write, since I didn’t want to write about the War itself, but rather about how it impacted the lives of every citizen in this country. It’s a darker story than any of my others, since even if one was far removed from the battle lines, the War was ever-present in their lives. I wrote a scene where Pepper’s sons came into contact with the Army surgeon who is developing an interest in her, and the boys saluted him. I doubt it would have happened under normal circumstances, but these were not normal times, and even small children knew about the war. It seemed the most natural thing for the boys to do. And Pepper resisted my efforts to make her feisty. She’s coming across on the pages as a most gentle soul. It wasn’t until I talked to a friend of mine who is a mother that I figured things out. She told me if Pepper is a single mother to three young boys, she’s a very strong woman, but it’s a different kind of strength. Her feisty nature is more internalized. The story’s flowing much better now, and we’ll see how it ends up. You have stirred my curiosity about what happens in Pepper’s story. I look forward to reading it, too. Good luck with Expressly Yours, Samantha. The “horse” part of the story appeals to me. Thanks for stopping by, Christy. I’m glad you’re curious about Pepper’s story. She’s a different kind of heroine from my usual, and it took me awhile to get used to her. I hope you’ll find her as memorable as my other ladies. Loved book 7 of your series. The pony express is definitely a moment in history that attracts a lot of attention. It shows what can be accomplished when someone puts their mind to it. An example of American ingenuity! Can’t wait for Pepper’s story. Thanks, AE. I just wrote “The End”on the first draft of Pepper. Still a long ways to go. Can’t wait for your next book! Great to hear that, Becky! #Exclusive You heard it here first, folks! I love the Fitzpatricks, Becky. I’m glad Valerian got his story, but now you have me impatient to read Pepper’s. Well done! Caroline, I’m with you! I can’t wait for Pepper! Thanks, Caroline, for visiting today. I’m impatient to finish Pepper’s story and get on to the last one in the series. Thank you, Amanda, for hosting me today, and for asking such thought-provoking questions! Absolutely, Becky – always a pleasure to have you visit with me! This book was such a joy to read!